Going in to this year’s ISTE conference, I made it a personal goal to spend more time connecting with people and sharing the story of our students, our school, and my personal passions as an educator. Today was a day spent doing just that! In addition to holding a meet-up for our district teachers and helping several of them get connected to social media, I spent a great deal of my day seeking out and talking to other educators that I’ve connected with on Twitter this year. Todd Nesloney and I spent awhile talking about his new job as principal of Navasota Intermediate School and I also met one of his awesome new fourth grade teachers, Michael Donnelly. Above all, today taught me that there is power and value in the connections that we make online, but nothing can truly replace face-to-face interactions. You gain new insights on your role as an educator through each new person that you come into contact with. These are the connections that will drive my work in the next year as I seek to be an innovator for positive change within my school, our district, and beyond. A very special shout-out goes to Catherine Flippen and Lindsey Brouillard who were forced to put up with my ramblings and musings throughout the day. Add them to your PLN! They are amazing educators! 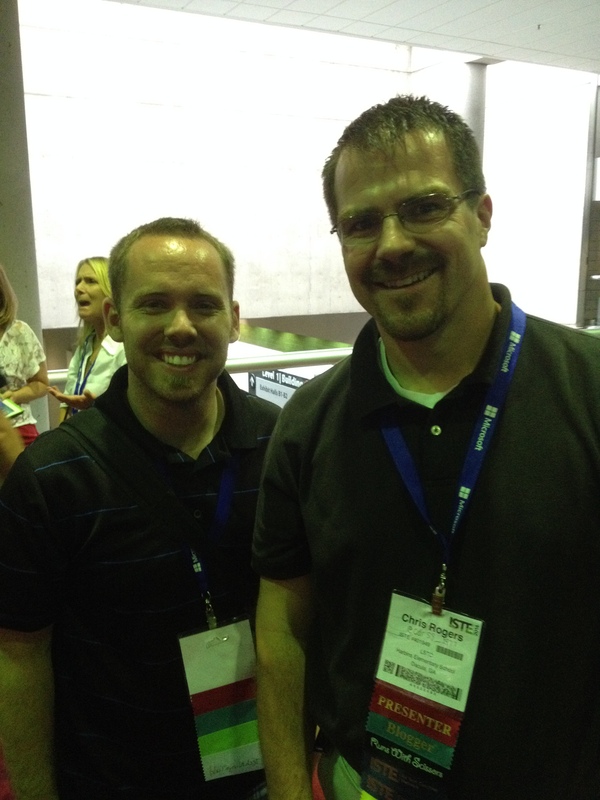 Here are a few pictures of other amazing educators that I met today! I have been both humbled and inspired through the connections I have made through social media over the past year, and today provided a glimpse into the power of strengthening those connections as we move forward to change education for the better. Each of these people goes out of their way daily to learn, create, and share their journey with others. Rafranz Davis and Jennie Magiera both touched on this powerful theme in their Ignite session speeches. My goal for this conference is to inspire others to make the connections and share what they learn with others – the true beneficiaries of this work are our students, who need us to provide passionate, relevant learning opportunities each day! Can’t wait for tomorrow! 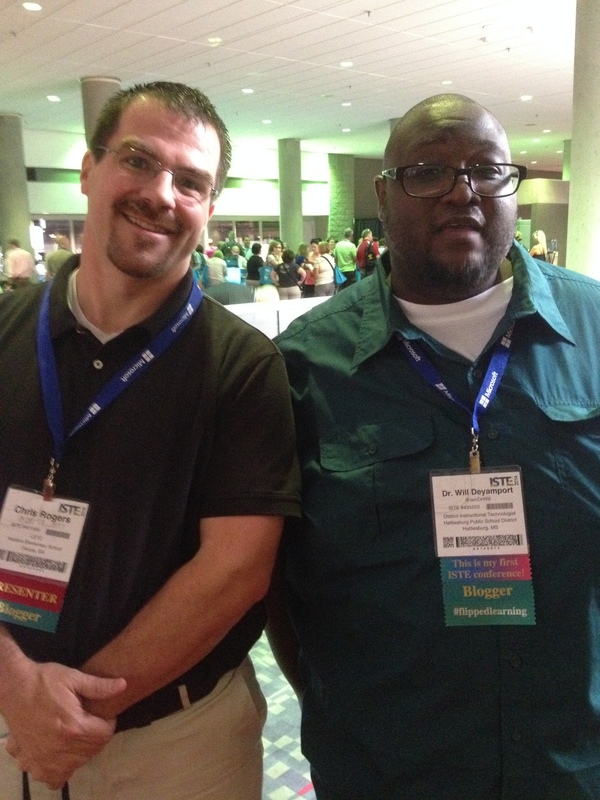 This entry was posted in Education, Professional Development and tagged #ISTE2014, conferences, learning, professional learning, social media, Twitter. Bookmark the permalink. 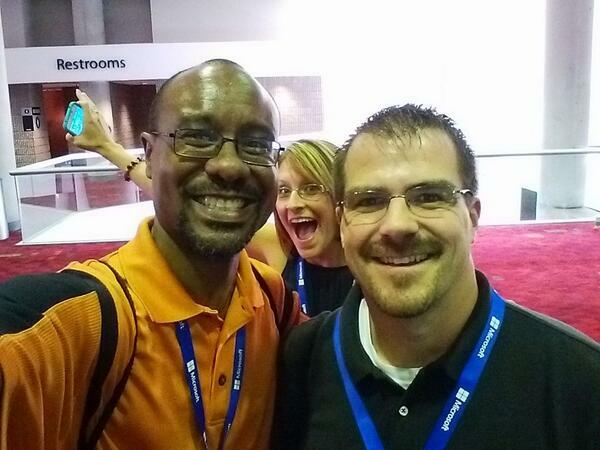 It was really great to meet you several times over the course of ISTE in ATL. Our conversations spurred me on to be even better than what I am and gave me additional ideas to use with my teachers. I’m glad we have a common place in #EduVue to share. I was surprised to see our “Usie” at the top of the page. Great shot, huh? 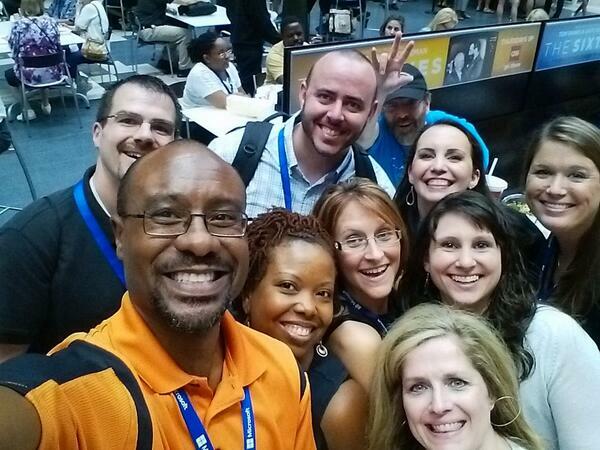 Any plans for #ISTE15 in Philly? Let’s share until then and plan to meet there. For sure! I enjoyed our conversations, tweets, and connections throughout the conference. Just checked out the #eduvue pic – nice! I am planning on Philly for sure, need to get back to writing on this blog first, though! Thanks again!